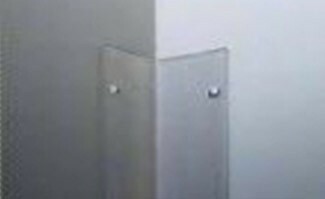 Our corner guards are manufactured out of polycarbonate plastic. They are easily installed in minutes and are guaranteed to last years without cracking, chipping, warping or yellowing. Corner guards come either with mounting hardware or adhesive backed.